For our Aussie Touring Specials we have joined forces with Travel Factory to bring you amazing deals and offers on many of the Aussie day tours and short guided holidays featured on the show! Deals are now open on on the following tours. Save 10% on this fabulous full day Macedon Ranges wine tour, including wine tastings and lunch. Departs Melbourne’s Federation Square. Save a massive 47% on this extraordinary day tour for you and two friends. Secure the deal now with a $100 deposit and pay the balance when you book your tour in. Departs Ipswich. Book Sydney’s only combined day tour of Jenolan Caves and Scenic World in the Blue Mountains and save 16%! Includes a guided 1.5 hour cave tour. Book Fantasea Adventure Cruising’s Sydney whale watching cruise now and save 25%! If you don’t see a humpback on the tour your next whale watching cruise is free! Lend a hand saving the Eastern Barred Bandicoot on this conservation day tour departing Melbourne and save 13%. Includes lunch and a visit to Living Legends. Lend a hand in the Little Desert National Park on this fabulous conservation short-break and save $60pp. This package includes all meals, transport and accommodation. Limited packages available. Departs Melbourne. Join Mountain Ash Trails on the western slopes of the Snowy Mountains on this two-day adventure including accommodation, meals and horse riding. Just $499pp. Departs Tumbarumba. Book Park Trek’s four-day fully guided and accommodated walk along Victoria’s spectacular Great Ocean Coast and receive a bonus $100 voucher at Bogong Equipment Melbourne – Australia’s leading store for outdoor equipment. Use in-store or online. For more Aussie day tour and short-guided holiday travel offers visit www.travelfactoryaustralia.com.au. Interested in one of the international tours featured on the show? Each week of our series, Sunwild Holidays – your travel and tour specialists – will provide a tour offer exclusive to Tour the World viewers. For full details visit the Sunwild Holidays website or contact a Sunwild Travel consultant on 1300 767 330. 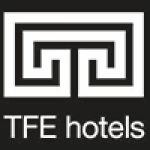 Each we’re bringing you the show from amazing hotels around Australia, thanks to TFE Hotels. 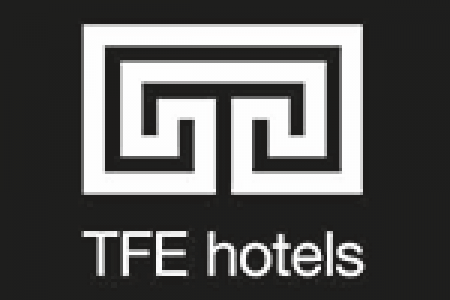 Visit https://www.tfehotels.com/tourtheworld for details of a special offer from each hotel featured on the show for TTW viewers. There’ll be a new offer posted each week of the series!